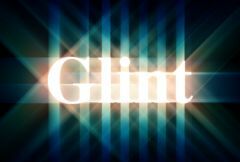 Source: The input clip that determines the glint locations and colors. Scales the color of the glints. The colors and brightnesses of the glints are also affected by the Source and Mask inputs. Size: Default: 2, Range: 0 or greater. Turns on or off the screen user interface for adjusting the size parameters.